Welcome to Kerfoot Technologies, Inc. If your projects require dealing with groundwater MTBE, TBA and GRO removal, there is a process more effective than pump-and-treat and air sparging. Kerfoot Technologies is a leader in groundwater remediation based on innovative, fast and efficient techniques. 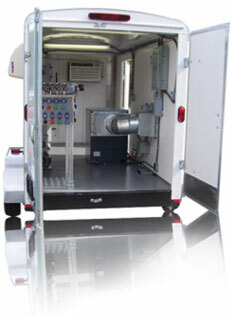 Kerfoot Technologies is a leader in groundwater remediation and characterization equipment. Since 1978, our guidance in serving our customers has been innovation to provide faster, more efficient and more cost-effective groundwater treatment technologies. Our ozone chemical oxidation sparging equipment cleans contaminated soil and groundwater with minimal site disruption. Our patented and patent-pending C-Sparger®, Perozone®, and Nanozox™ systems and processes are exceptionally effective against the most common pollutants in a wide variety of soil types. These chemical oxidation technologies take the place of costly and time-consuming “dig-and-haul” or pump-and-treat methods. The constant on-site supply of ozone and peroxides offers consistent contact with contaminants, as opposed to batched liquid oxidant dosing. Site characterization needs are met with our GeoFlo® groundwater flowmeters and push-probe soil gas/soil/groundwater samplers. Kerfoot Technologies invites you to contact us to meet your site remediation requirements. Problem: Release of petroleum contaminants from a retail gasoline station product line in a California Central Valley town threatened an adjacent, downgradient municipal water supply well. Hydrogeology: Highly interbedded, poorly graded sand, clayey sand, silty sand, sandy silt, silt, sandy clay, lean clay; clay lens from 12 to 16 ft bgs; hard silt bed 45 to 49 ft bgs. Hydraulic gradient 0.0002 to 0.001 feet per foot toward supply well. Hydrogeology: Fluvial sand and gravel deposits with discontinuous silt lenses. Groundwater at 5 ft below ground surface. Hydraulic conductivity 200 ft/day. Near-surface silt lenses caused heavy rainfall perched water events. Copyright © 2010 Kerfoot Technologies, Inc.